Rhümia is a song of hope, a need to laugh and laugh above all things. Laughter is good for your health and a whole lot of fun. What a wonderful event in Alicante - laughter, fun and clowning around. Rhum & Cia will be bringing a new dimension to circus acts. 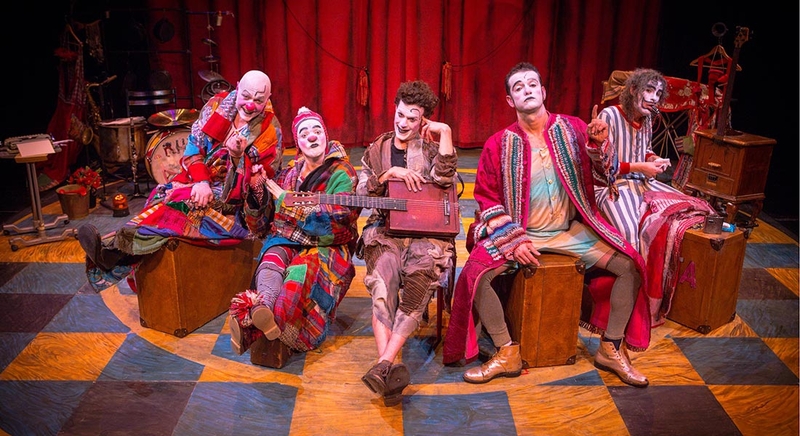 Come along and meet this lovely family of exceptional clowns and musicians who are Jordi Martínez, Joan Arqué, Roger Julià and Pepino Pascual, and Mauro Paganini, who brings his magical universe to close the second part of this clownesque version. At Rhum's house, you'll meet clowns, and hear songs and music from around the world. It's full of emotions to have you roaring with laughter.